The Rockot launcher, a modified Russian ballistic missile, lifted off Wednesday with a Japanese satellite running on off-the-shelf components designed to prove the utility of everyday parts in space. The 95-foot-tall rocket's first stage engines ignited with a rush of toxic reddish-brown smoke at 0159 GMT Wednesday (9:59 p.m. EDT Tuesday), and the booster shot skyward moments later on 420,000 pounds of thrust. It was after sunrise at the Plesetsk Cosmodrome, a sprawling Russian space base south of the Arctic Circle. The launcher soared into mostly sunny skies over Plesetsk as it turned north to accelerate into orbit over the Arctic Ocean. The booster's first and second stages finished their burns a few minutes after launch. The Rockot's Breeze KM upper stage took over next, first igniting for nearly 9 minutes to propel the rocket and payload into an elliptical parking orbit about 14 minutes into the flight. After coasting for more than an hour, the Breeze engine fired again for approximately 45 seconds to circularize its orbit at an altitude of 746 miles. The upper stage was targeting an inclination of about 100.4 degrees. The launch vehicle deployed the 1,600-pound SERVIS 2 satellite at 0336 GMT (11:36 p.m. EDT) as the craft flew over Eastern Europe. Russian space officials declared the launch a success, according to Khrunichev, the prime contractor for the Rockot booster. Wednesday's launch was conducted under the commercial management of Eurockot, a German company that sells Rockot flights on the international market. After deploying its solar panels and passing health checks, the SERVIS 2 spacecraft will enter service to test nine commercial off-the-shelf payloads in the attitude control, electricty production and computer systems. The experiments include a lithium ion battery and data management system using automobile technology, a fault-tolerant 64-bit computer, a remote terminal unit and a data compressor. SERVIS 2 also carries commercial GPS receivers for orbit and attitude determination, a magnetic bearing wheel and a satellite structure model containing electric modules to simulate next-generation systems. SERVIS 2 will expose the materials to the harsh environment of space to help establish a parts database, a parts evaluation guideline and an equipment design guideline to utilize the components on future space missions, according to the mission's website. Commercial off-the-shelf parts could help make future spacecraft less expensive. SERVIS stands for Space Environment Reliability Verification Integrated System. The Tokyo-based Institute for Unmanned Space Experiment Free Flyer, or USEF, is managing the project. USEF is overseeing the mission under contract with the New Energy and Industrial Technology Development Organization and the Japanese Ministry of Economy, Trade and Industry. 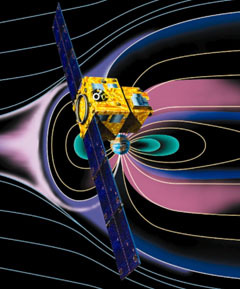 Mitsubishi Electric Corp. manufactured the SERVIS 2 spacecraft. A similar SERVIS satellite launched on another Rockot vehicle in 2003 and completed a two-year mission testing low-cost parts in orbit.